For myself, I am in that rut of the children. I just don’t know what I want to do with my life anymore. Those that know me, know I have been through MANY career changes in my life! Part of it is my ADD, and part of it is my strong will. I read a great book called Redefining the Strong-Willed Woman. This book talks a lot about Strong Willed woman and how they often change careers. It isn’t that we are wishy-washy, it is more that, we like what we like, and when we don’t like it anymore we change, if we can’t change the job itself. Also, from that book and reading books on adult ADD, it isn’t that we are necessarily, bored. It is more that we want to know about EVERYTHING – and when we feel we have learned “enough” we move on to the next great thing. When I first went to college, I was studying communications – TV/Film Production. I have an associates degree in Media Technology. I really enjoyed learning about those things. After I graduated, I took a year off to be a full time volunteer with Habitat for Humanity. While that was not all I had hoped it would be, I did have a great time, and lived with a wonderful family with whom I am still friends with today. I did work in Sales for my dad’s company for a bit, and realized I was a horrible sales person! Next, I did some temp jobs. While doing these temp jobs, I started to teach CCD at church, as well as doing Youth Ministry Work. I then felt called to be a teacher. I went back to school to study Education and Religion, as I wanted to teach Religion in a Catholic School. I only last 1.5 years. The first school I was at was very tough. I was not prepared for the student population I would face, and left after the first semester. The second school I was at the principal was an insane nut, that like to threaten to fire me about once a week! Needless to say, it was not a good enviroment and I left at the end of the school year. I was then offered a job to work for Lycos – a growing internet company. I was a Sales Assistant. The internet was growing like crazy!! Although, the bubble was also just about ready to burst, and I didn’t not make my millions. I sometimes wonder, if Lycos, had taken off instead of Google would we all be saying “I Lycosed that” instead of “I Googled that” Sigh……. After September 11th, we were in a meeting and at one point the leaders said “we know this is a tough time, but GET THE NUMBERS”. I knew there had to be more to life than that. I then began my journey into the world of Human Service work. You can read about that on my Sept 11th Post. After Alexander was born, I took time off to be a mom. I was just starting to go back to work when he got sick. When people asked me where I worked I would answer “I am a private duty nurse to a 1 year old with cancer”. After being there about 2 months, I got a job offer with a Visiting Nurses Group. I thought I would really enjoy this. I did not! It wasn’t that it was different from anything they told me, it just really wasn’t what I expected. During this time, I also found out I was pregnant. Having nausea and driving around all day long is NOT a good mix! After I left there I took a few weeks to just “be”. I did look into some jobs, but not too much, because I thought “who will hire a pregnant girl” (Of course I had almost 6 months to go, but still….) I did apply for one job, but never heard from them. In some ways I am glad I have not had to work (Thanks mom!) But, in others, I have wondered if it has not been good for the grieving process. I have SO much time on my hands, that I think about it A LOT. Having a job would have been a distraction and given me a reason to get out of bed each day. I did try to do some volunteer work. I went once, and have never gone back. I don’t know why really, I just couldn’t. I am not sure that I want to be a nurse anymore. I worked so hard to earn my LPN status, but after what I went through with Alexander I just don’t know if I want to do that anymore! But yet at the same time, I do want to do something in the medical field in some way. Perhaps in a job that is “behind the scenes” and not dealing with direct care. I know I would be good at being a parent advocate, someone to help parents of very sick children, navigate their way through the system, help them to fight for their children. There is a great need for that, although I don’t know if there is a great amount of jobs in that field. Sigh…..I just don’t know…..Maybe the perfect job will just fall into my lap one day. Then again, they are always hiring at Dunkin Donuts. This is a re-post from last year. I added a little at the end. I also added a poem to the end of it. Sending Love and Prayers out to all those that are without their children for the first time this year. So tomorrow is Mother’s Day. A Day to celebrate mom. For some this can be a wonderful joyous day – for others not so much. Perhaps you had a bad relationship with your mom – or maybe mom was abusive – if that is the case, then you would likely not want to celebrate her! Perhaps your mom has died, and it is a sad day for you, because it reminds you of all that you have lost. Perhaps you don’t have a “mom” in your life – again, a day filled with sad reminders for all you don’t have. Perhaps you CAN’T have children, and want nothing more than to be a mom. Sadness again. Or perhaps you are in a situation such as mine where you child is no longer with you here on earth. It is a very sad place to be. Before I was pregnant with Alexander, I was pregnant with our first child. We were so very happy. Sadly we lost that child about 7 weeks into the pregnancy. 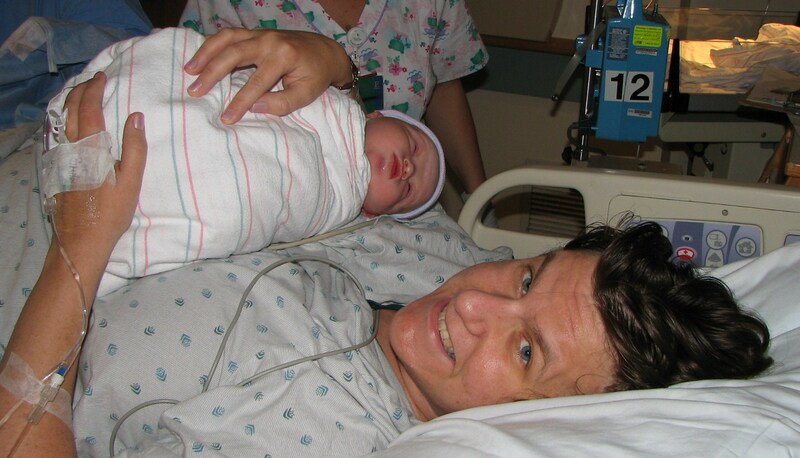 That child, who we decided was a girl and named Sarah, would have been born on mothers day. Not a happy day for me. When I was again pregnant, this time with Alexander, I was still having nausea! Again, mother’s day not so thrilling, because I was sick! 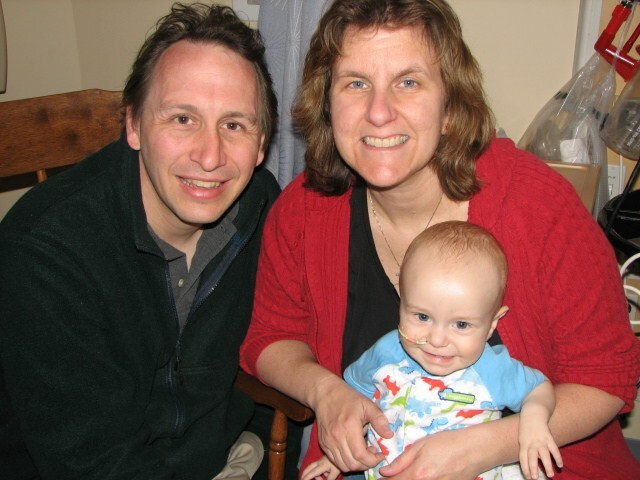 Last year, my “first” Mother’s day – we spent it in the hospital. Alexander had been admitted for 1 night, and it turned into 5 weeks. While, Richard and I were ale to enjoy a nice meal out thanks to a gift from an Aunt, it was not really a happy day for us. And then that brings us to this year – can it get any worse? I have read all the poems about how I am “still a mommy even if my baby is in heaven” – but that doesn’t make it any easier, or make it hurt any less. I don’t feel like a mother any more – I just feel a sadness and emptiness inside. So on this Mother’s Day, give your mom an extra big hug and kiss, and pray for those who on this day, are filled with sadness and heartache. So, last year, mother’s day ended up being okay. My awesome sister send me a yummy edible arrangement. I went for a nice walk with my very good friend and her children. When I came home, there was a note for “Mommy” on the table. It was “from” Alexander. It was very nice – yes, it made me cry, but it was very kind and thoughtful too. My mom bought me a special Crystal Butterfly for our collection (Butterflies have become special signs of Alexander to us) Overall, while sad, it was a good day. your baby is not with you? I give many women babies when they leave is not their choice. And some I send to fill your womb, but there’s no need to stay. I just don’t understand this God, I want my baby here. I wish I could show you what your child is doing today. “I went to earth to learn a lesson of love and life and fear. My mommy loved me oh so much I got to come straight here. I feel so lucky to have a mommy who has so much love for me. I miss my mommy so very much, and I visit her every day. When she goes to sleep at night, on her pillow is where I lay. So, you see my dear sweet one, your baby is not sad nor blue. Your baby is here in My Home, and at Heaven’s Gate he will wait for you. It’s the love you had so much of right from the start. and know you were the best one! Just some random thoughts and ideas today…. Only speaking about the ladies rooms here! Clearly they are NOT designed by woman or those that are handicapped. 1. Why do the doors on the stalls swing IN! Especially when there is hardly even an INCH between the door and the toilet!!? It is so hard to get in and out with touching the toilet – never mind if you are just a bit overweight, pregnant, or have a nice DRESS on. I remember being at Prom and having issues! 3. Seat Covers! Please, have them!!!!! 4. Back to the paper – why do some stalls have them so LOW that you have have to reach UP to get to it – if you can do that at all, because it keeps breaking off! I have seen this in the handicap stalls – they are UNDER the bars! Do they really think a disabled person can reach that!?!? 5. Handicap stalls – thankfully, I am NOT handicapped – but I do sometimes use the stalls (see reason number 1) but I have noticed, that some, do NOT have raised toilets, or even proper bars! 6. Drying your hands – okay – I get the whole “going green” thing, and not having paper towels. But, PLEASE have a dryer that actually gives out HEAT and FAST – there are a few out there (xlerator hand dryer is one) that do get the job done well! If you are going to have paper towels, PLEASE leave a barrel near the door. Don’t you know that not EVERYONE washes their hands (eww gross!) and it is nice to be able to open the door with the paper and toss it right out. If you have an automatic dispenser, please give a half decent sized sheet! I have a box filled with LETTERS from friends. Yes, you remember letters right? You got paper, hand wrote or typed your message, put it in an envelope, put a stamp on it put it in the mail and your friend got it a few days later. It was fun to go to the mail and find a letter from your friend!! Then came e-mail -and how cool was that? I first had e-mail back in 1992 when I was at college. We were thrilled that we could send a message to each other across campus. I soon found online “pen pals”. But, it was still a while before e-mail really caught on, and I was still getting letters. It was especially nice when I was living in Virginia and I got mail. But, as times changed, the letters slowed down – and soon, so did PHONE Calls even! I remember getting together once for dinner with a friend, and we never once talked on the phone about it – we just e-mailed. I thought about how odd that was. Soon, so much of communication was done by e-mail. If you didn’t have e-mail you were “weird”. As e-mail and the internet grew, out came “Instant Messaging” Again, I had that pretty early on. It was awesome being able to “chat” with my friends in Michigan when phone calls were so expensive. Sometimes at work it was cool to use, when you just had a quick question to ask someone. Okay, maybe we were just LAZY and didn’t want to walk two cubicles over to ask the question. Or sometimes that person might keep you chatting when you really didn’t have the time. I do still use that now on Facebook – and it can be kind of cool still I will admit. Especially when you can “talk” to people in other countries! Next were the text messages – I didn’t do that for a bit – and I still don’t do that a TON, but I do use them. It can be nice to have them. How the kids do it so fast and non-stop though is beyond me. Just pick up the phone and TALK to you friend!!! In Massachusetts they have banned doing it while driving – how anyone can do that anyways is beyond me! Sometimes I think Facebook is great. Like when Alexander was sick, It was a fast way for me to get a prayer request out, without having to do a care page. The messages people wrote me, often helped get me through the day. But, in some ways I do NOT like Facebook. For example, a lot of companies offer “deals” but you have to “like” them on Facebook. Well, what if I don’t want to “like” you – I don’t want you to have access, however limited, to my information. And what if I do NOT have or WANT a Facebook account? Don’t these companies know they are missing out on a whole population of people??? As Facebook has grown I have noticed I get less E-mails! People are now using Facebook to “e-mail” people! I guess that is okay, but what about people who don’t use Facebook all the time? They just go on occasionally – they might miss an important message/invite/etc. What really gets me are those people who don’t even bother to send a “private message” and just say “Hey you, are we meeting up Tuesday or Thursday”. Does the whole world really need to know your plans? And, back to the title topic, where is the PERSONAL communication? How about picking up the phone and just ASKING that question? Now, I am not saying I am not also guilty of any of these things – I am sure I am. Just an observation of life – and the lost are of Personal Communication.